Innovation, enterprise, entrepreneurship, accelerator, incubator, hub, jam, hack, hybrid, MOOC, VOOC, SPOOC, real-world, experiential, integrated, collaborative, hands-on, networking, immersive, engaging, differentiated, flipped, project-based, adaptive, life-long, mission-based, open-source, open-loop, gamification, BYOD, BYOC, ed 2.0, ed-tech, digital natives and disruptive. Phew. And there’s plenty more out there. And then the ‘Thought for Food Challenge’ (AKA #TFFChallenge) lands on our plate. And suddenly we have something that somehow swallows up every last crumb of those 35 words, chews them up and spits them out into what we might just call a taste of how 21st Century education can really evolve. And it’s exciting stuff. On the 13/14 February, the TFF Challenge opens the doors to its 2015 summit. This year it’s in Lisbon. In a converted 15th Century monastery in fact. Doing things differently, more creatively – and with a healthy portion of intrigue – it’s all part of the TFF DNA. The virtual doors are already open. Facebook, Tumblr, Twitter and the social web is already alive with interest. Multi-nationals, consumer groups, policy makers, activists and even the UN are all waking up to TFF. So what is the fuss all about? The premise is straightforward. 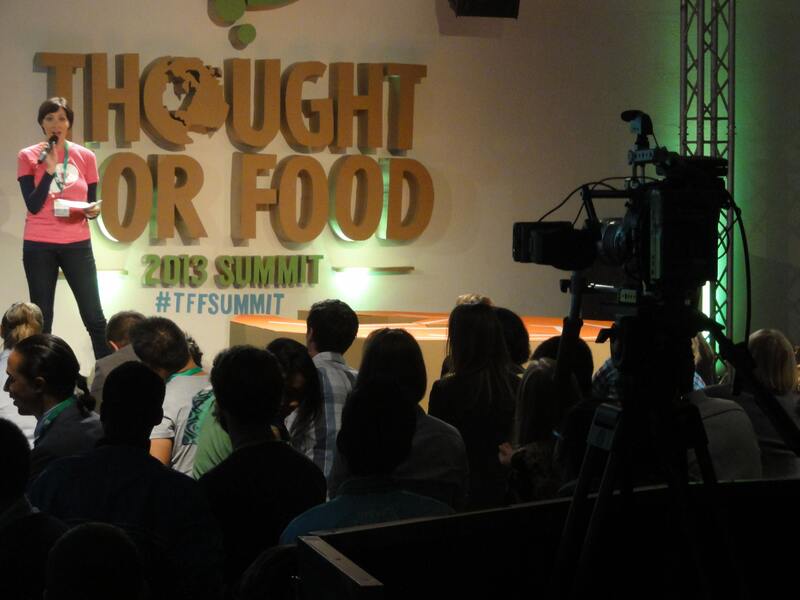 TFF is a global university challenge – that inspires students to come up with the very best answers to feed the world. Yes, it’s a competition essentially, but it’s part of a wider movement that wants food security at the very top of the agenda. Everyone’s agenda. It’s a movement that states ‘we do not tolerate a world where nearly one billion people go to bed hungry while one billion more over-consume,’ with a mission to ‘move the world’ into action. And education, and Higher Education students in particular, are at the heart of everything. TFF originated as a European challenge in 2011, featuring 10 university student teams from the UK, Ireland, Holland, Belgium, Denmark and Switzerland. Everything was online with Facebook, You Tube and Skype hosting the bulk of activity. 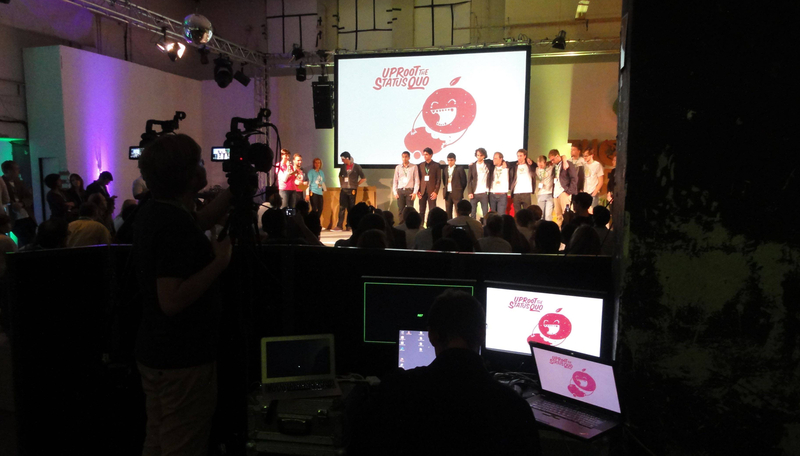 By 2013, the challenge had gone worldwide and migrated to summit status – with students finally coming together in the most creative of Berlin settings – complete with cardboard box seats, liquid funk, house and dubstep, and some amazing food and ideas of course. The whole thing screamed energy and creativity. 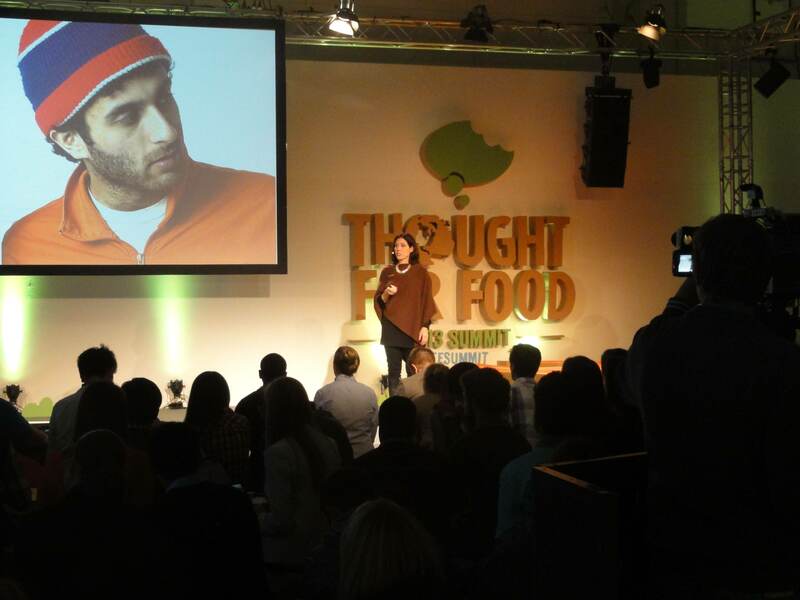 In the last year the TFF Challenge has been played out by 336 teams, from 300 universities and 51 countries. In Lisbon, 10 finalists will converge from all over the world: Bristol (UK), Lund (Sweden), Kyambogo (Uganda), Dhaka (Bangladesh), IIT Bombay (India), Melbourne (Australia), Cornell, Iowa State, Texas A&M (USA), York (Canada) and Sao Paulo (Brazil). The focus has been innovative ideas to feed the world. Digital has been the glue. Social Media has again been the engine. 336 ideas have been pitched. Videos have been shared. Facebook pages have been created. Meanwhile, Mentors have jumped in online to support. Google Hangouts have helped keep everything on track. And a very difficult decision has been taken to select 10 short-listed teams who all get to go to Lisbon. So far, everyone has had access to education. Ted Talks, blogs, videos, periodicals, research papers and news articles have all been shared. Experts have pulled teams aside to coach them via Skype. Within the universities themselves, academics have helped to varying degrees. And, most importantly, students have explored and learned for themselves. But it is in Lisbon where the education goes up the gears. Suddenly different student teams can physically work together. An interesting virtual familiarity will become a life-long friendship. Together, students will hear from experts, watch the films and debate the issues. Anyone attending Berlin in 2013 will remember Rob Stewart’s passionate recollection of his 4 year adventure to make a film about overfishing in the world. Or Professor Mark Post’s explanation of how his team grew a £250,000 burger from a petri dish in a Dutch university lab. But there were practical sessions too. And lots of integrated, innovative collaboration – and all of the other buzzwords as well! But we also saw education go to the next level. The Future Index team spoke to many of the students involved and they all talked about putting the cause before the subject – putting their missions and purpose at the forefront. They were putting their own personal stamp on education, producing the kind of energy that would make a traditional lecture theatre bow down in awe. Crucially, the students believed that their innovations were more than just ideas; they were destined to be made and actually do something. We also heard how students were networking away from their universities. How they had already made significant global connections. How they were chasing investment in ideas. People talk about students moving into LinkedIn, but this was the fuel injected hyper version. And in Berlin, proven entrepreneurs were on hand to offer encouragement and advise on business start-ups, on securing investment and achieving scalability. Definitely a sense of education and enterprise fusing together. We can expect much more in Lisbon. Of course there are winners. There is seed investment and there are prototypes to make a difference. In Berlin we saw ideas ranging from desalination models for farmers in East Africa to mini vertical farms for US restaurants. The winning idea looked to use artificial light to increase egg productivity. But this wasn’t just about hatching a few ideas. The bigger incubator here was education itself. The chance to harness learning in a new way. The opportunity to share highlights with the world and fuel debate. Did you know that 660 gallons of water is needed to produce a hamburger? Or did you know that huge areas of Africa and Central America are being farmed for crops to produce bio-fuels, whilst the farm workers themselves go hungry? TFF can encourage people to explore these issues and more. With thousands tuning in via social media channels across the world, maybe TFF is on its way to its ultimate goal – to educate the world about food security. Surely the big ‘move’ will follow. Trailer TFF Global Summit 2015 Lisbon from ORIGAMIND – Build Creativity on Vimeo. Is TFF producing the big solutions now? Well, possibly not yet (although we are keeping our fingers crossed for some amazing ideas at Lisbon). For the biggest ideas to take off the big corporations probably have to get on board. Whilst a team of 5 students can create a revolutionary smart-phone app to manage food delivery and waste – it is very unlikely to work unless the likes of Walmart, Carrefour or Tesco support the technology. Once big business works out the profitable, and responsible, balance, then we have a chance. But TFF is definitely an education trailblazer. It really does pull those buzzwords together. An enterprise incubator and flipped classroom all rolled into one. And it provides an excellent case study to summarise many similar initiatives taking place around the world right now. TFF does provide insight into the future of 21st Century Higher Education. Maybe not all of it by any means. But certainly some of it. TFF University anyone? The writers of this blog were incredibly proud to have helped design and shape the very first TFF Challenge in 2011. We are delighted to see it grow from strength to strength and so we’ll unashamedly plug it to everyone out there. Please do get involved. Follow the channels, share stuff, sign up. Or simply spread the word about food security and refuse to tolerate a world where nearly one billion people go to bed hungry while one billion more over-consume. See the TFF website, follow on Facebook, and Twitter. To learn how the Future Index pulls together the very latest trends in Higher Education and to explore many of the 35 buzzwords in action, please visit us at www.thefutureindex.com or read our blog for lots more.